Get a glimpse of how bloggers decorate their homes for less with these creative and innovative decorating tutorials and tips not to miss! Click on the link to be taken to the tutorial. 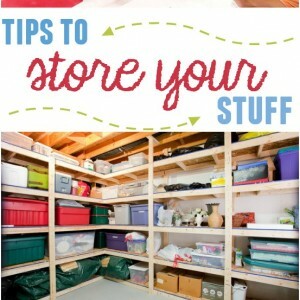 Fabulous collection of tutorials and tips for improving your home. Click Next ----->. 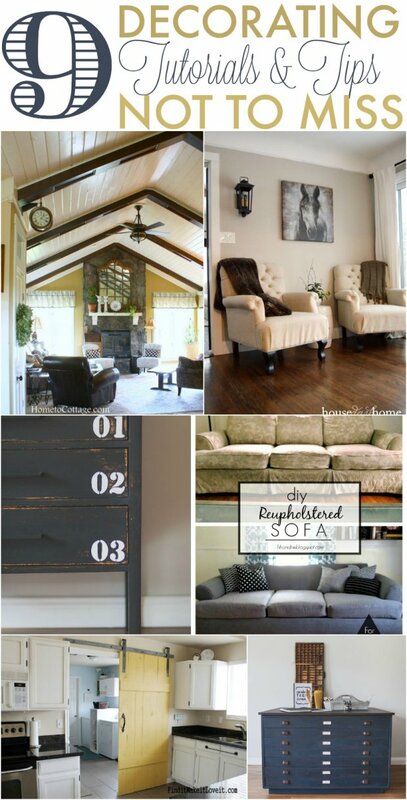 Beth, thanks so much for including my post about ceilings! Yay!! Sorry I’m a little late to say thanks, I didn’t realize it was there until today. 😉 By the way, I will rarely be able to do more link parties, but feel free to always share pictures and links from my blog!! 🙂 for sure!! 🙂 Thanks again. Hope you have a wonderful weekend. When see your pictures, i want to decorate my living room and kitchen again, Thanks for sharing helpful tutorials!!! 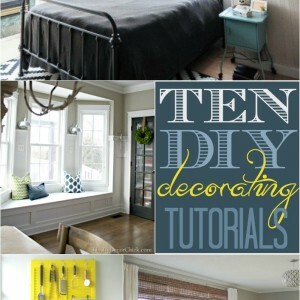 Wonderful decorating tutorials! Thanks for sharing. Thanks so much for the feature, Beth! Loving all of these!